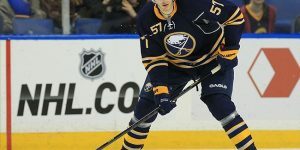 – According to CBS Sports Brian Stubits, the Buffalo Sabres have put Ryan Miller “in play” for trade discussions but not to expect anything imminent. With that said, if Ryan Miller was to leave Buffalo in the near future, the return would have to be an offer general manager can’t refuse. A rumors which started out of Washington this morning was linking goaltender Ryan Miller to the Minnesota Wild. The rumor was that the Wild made a big offer to the Sabres which involved forward Dany Heatley and NHL-ready prospect Charlie Coyle. It s known the Minnesota Wild are interested in Miller but don’t count the St-Louis Blues out of the race for the Sabres netminder. This morning, TSN NHL Insider Bob McKenzie was quick at defusing this latest rumor and added that although the Sabres are intending to move Ryan Miller prior to the trade deadline, nothing imminent is expected. He further added that the Minnesota Wild are not close to a deal with Buffalo according to his own sources. In using the waiting game and moving closer to the trade deadline will enhance the chances of Tim Murray of obtaining something he wants in return of his best players. 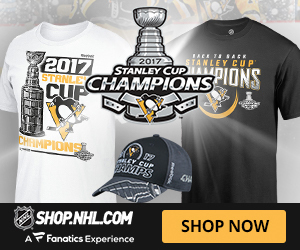 Murray admitted recently that dealing with the way the salary cap is right now will prove to be difficult and trading a goalie mid-season is even more difficult. but dealing this season with the salary cap limitations is going to be tough and moving starting goalies mid-season has always proven to be tough enough as is. 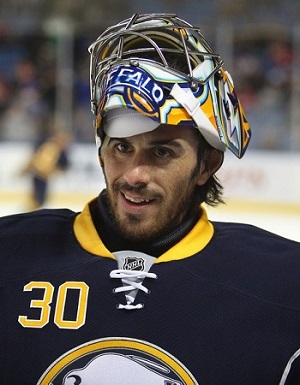 Editor’s Note: There are no doubt the Ryan Miller trade will be something both parties agree on. Tim Murray will exhaust every possibilities to re-sign Miller to an extension if he wishes to stay in Buffalo. 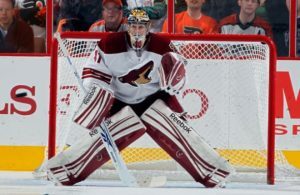 If he wishes to leave to a contender, expect the St-Louis Blues to make a serious pitch for Ryan Miller. 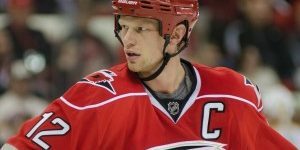 With the lousy streak the Ottawa Senators find themselves into lately they will need to define to the rest of the NHL if they will be sellers or buyers. The Ottawa Senators who have lost four of their last five games are 12th in the Eastern Conference but only three points out of a playoff spot. The Sens have had their meetings to see on who they will target prior to the trade deadline and one player they have in their sight is Buffalo Sabres scoring forward Matt Moulson who will be unrestricted free agent at the end of the season. Assistant general manager, Pierre Dorion has told the Ottawa Citizen “his team is ready for business.” He was quoted as saying: “We identified possible targets for possible trades,” he told Ken Warren of the Citizen. 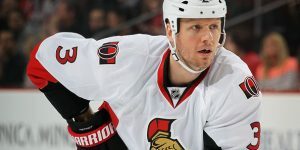 “You always have to be ready for that possibility, for players that could help us in the short or long term.” According to Warren, the Ottawa Senators will looking to add a winger on the Jason Spezza line. Names that could fill this duty are: Moulson of the Sabres or Ales Hemsky of the Oilers. 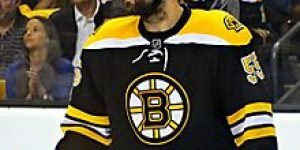 Shane O’Brien will be traded. What are the Jets next move? With numerous trade rumors involving some of the Jets veterans, general manager like many other general manager will need to make a decision as to whether he will be a buyer or a seller come the trade deadline. With seven points out of a playoff spot, the odds are more and more pointing out as the Jets being sellers. The Jets have a few veterans that could interest certain teams in their quest of a playoff position or for a long run in the playoffs. They have rentals like Olli Jokinen, Devin Setoguchi and Mark Stuart. They also have players of interest such as Dustin Byfuglien and Evander Kane. Stuart, according to the Winnipeg Free Press may be the hardest to move. An unrestricted free agent in July, Mark Stuart could come back to the Jets in the summer if the Jets can lure him back. This is risky for general manager Kevin Cheveldayoff but could prove to be a wise move if it works. 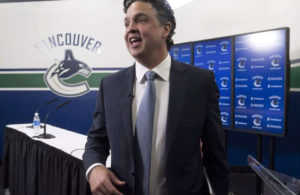 P-A Parenteau on the trading block? 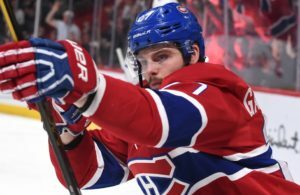 According to CBSSports.com and TVA Sports reporter Renaud Lavoie, the name of P-A Parenteau has surfaced in the trade rumors. The Colorado Avalanche who are playing the Dallas Stars Monday night will be without Parenteau who will be a healthy scratch. Add the healthy scratch to the recent trade rumors surrounding the Avs forward and you have a recipe for more rumors and teams Parenteau will be heading to. Parenteau is in the second year of a four-year contract paying him 4 million per season. Parenteau who has returned from injury recently has been demoted to the third and fourth line for Colorado. This year Parenteau has nine goals and seventeen assists in 41 games. 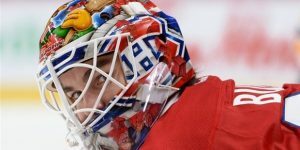 It is rumored the Montreal Canadiens are interested and the Habs have been seen scouting the Avalanche for many games this season. While Montreal is looking for offensive help, the Colorado Avalanche are looking for defensive help. Finally P-A Parenteau has no no-trade-clause in his contract.